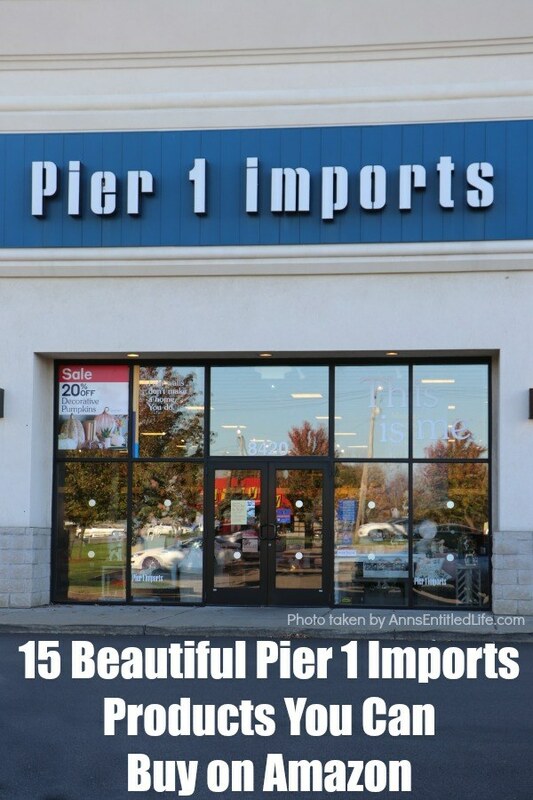 Pier 1 Imports is a great place to find tons of unique decorative items for your home. And if you are a fan of this fun home store, I have great news for you! 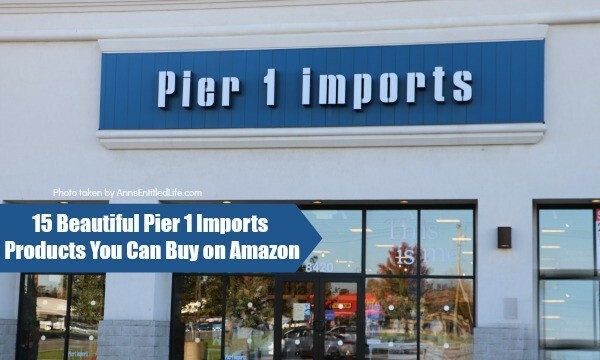 You can now buy a variety of amazing Pier 1 products on Amazon thanks to their new Amazon shop. I looooooove Pier 1. Like love, love, love Pier 1 Imports. So much so, that I try to stay out of the place because every trip is a few hundred dollars out of my pocket. Now, sometimes ya gotta do whatcha gotta do, but other times you just like to buy trendy and cute Pier 1 products for a specific reason – such as a season, event, or holiday – and not get distracted by all pretty shiny objects. And Pier 1 has a whole lotta pretty shiny objects. Featuring a beautiful antiqued white finish and gentle distressing, this pretty antiqued vanity is the perfect piece of furniture for your bedroom. In addition to a handy tilting mirror, this amazing piece of Pier 1 furniture also includes three drawers for plenty of storage. This amazing leather tufted ottoman can serve a variety of purposes in any room. Whether you use it to rest your feet as you read the morning paper or as a coffee table in a small room, you’ll love the classic look it adds to your home. And with built-in storage, this simple piece of furniture does double duty anywhere you put it! This fun set of stacking espresso mugs is both functional and stylish. This espresso mug set includes six demitasse cups and six complementary saucers, all in beautiful bright colors, in addition to a handy stand. The cups easily stack together, making it simple to store them or display them on your kitchen counter. This lovely set would make a great addition to your kitchen’s décor – they’re the perfect way to add a pop of color to the room – or a thoughtful gift to give your coffee-loving friend. Either way, they’re an amazing Pier 1 product that you can find on Amazon! For a stylish addition to your home office, consider ordering this beautiful blue office desk from Pier 1 on Amazon. The lovely sky blue finish and pretty curved cabriole legs make this unique table an amazing way to add some visual interest to your boring office décor. Pier 1 Imports is well known for its unique home décor finds. These beautiful floral curtains are another one of those awesome home décor offerings from Pier 1 that you can find on Amazon. These lovely curtain panels feature a classic floral pattern makes a dramatic statement without wandering too far outside the traditional realm They’re the perfect way to add some visual appeal to any room! These unique curtains are lined and have easy-to-hang grommet top construction. Machine washable. You’ll love the way they finish your room and give it a polished look. I just love this adorable black accent table from Pier 1. The stylish tapered legs and overhanging top make it a beautiful decorative piece and the useful drawer on the bottom makes it wonderful for storage, as well. With a handy chalkboard label, this beautiful wicker basket is a great way to keep your home organized. Whether you set on your coffee table or order a few to organize your playroom, this chalkboard label basket will keep any room organized in style. You can never go wrong with classic white, which is why this beautiful white duvet cover from Pier 1 is a great option for your master bedroom. Constructed of 100% cotton, this lovely ruched duvet cover features a pattern of flowers on a field of diamonds, all in crisp white. This interesting ruching design adds visual appeal to the classic white comforter, making it anything but boring. Whether you choose to use this pretty duvet cover as your everyday comforter or fold it up at the end of your bed to save for special occasions, you’ll love the stylish look it will instantly give your bedroom. These beautiful windchimes will instantly turn your porch or garden into a relaxing retreat, creating a wonderful ambiance in any outdoor space. The soothing sound these modern windchimes make as the breeze blows through them is just one of the many reasons to add them to your Amazon cart. You’ll also love the modern combination of black metal with rustic brown wood – making them a great option for any farmhouse style front porch. How’s this for fun in a kid’s room, family room, or playroom? This cozy, chocolaty, fuzzy, faux-furry little number is sure to be a great place to read a book, watch TV, or decompress after a tough day at school or work. Pier 1 does baskets right! This hand-woven faux-rattan basket will help you keep chaos at bay. It is as functional as it is lovely. The Pier 1 Amazon shop has many different baskets to fit your organizational needs stylishly, so be sure to check them out at this link! Throwing a party!? This beautiful Bennington Wooden & Metal Handle Cheeseboard Serving Board Tray is crafted of mango wood with aluminum accents, this ensemble hits just the right notes at all your parties and gatherings! This super soft, luxurious chenille throw not only feels great to cuddle up with but looks fabulous when drafted over a chair, sofa, ottoman, or the foot of your bed. This decorative throw is more than that – cuddle up with this little softy when watching TV, snuggling by the fire, or reading your favorite book. I have Hurricane Candle Holders on my teacart, and in my dining room. They are a taste of old-world elegance and timeless décor. This particular hurricane candle holder is listed as safe for indoors or covered outdoor patios! Don’t forget the floor! We actually use a stylish indoor-outdoor rug under our kitchen table. They seem to be long lasting – we are only on our second one in 13+ years, and you know how much wear and tear a kitchen rug gets from sliding the chairs back and forth alone. I’d encourage anyone would want a rug for under their kitchen table to explore the indoor-outdoor rug route. Note: One tip is do not hesitate to purchase if you see something on Pier 1’s Amazon store that you want. The stock sells out fairly quickly. • 15 Fun and Useful Gifts for Wine Lovers – There are so many fun and useful gifts for wine lovers that it is hard to choose just one. If you or someone you love is in a deep, committed relationship with vino, you really must check out these awesome products! • 15 Must-Have Brunch Items – They say that breakfast is the most important meal of the day. Personally, I think that while breakfast is great, brunch is even better!! The food is similar, but with brunch, you can get away with drinking delicious things like Mimosas or a Bloody Mary! Yum! • 15 Wonderful Ways to Give the Gift of Chocolate – From tantalizing candies to ways to serve up melted and creamy chocolatey goodness, there are all kinds of decadence happening on the list below. If you are a chocoholic (like I am) you are going to love these chocolate gift ideas! 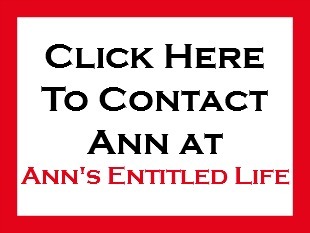 • For more DIY Home Decor and Craftson Ann’s Entitled Life, click here. 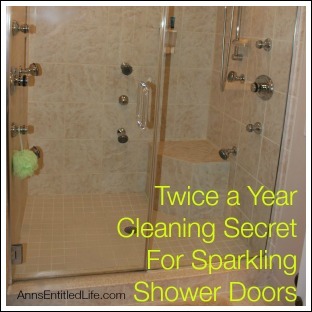 10 Tips and tricks as well as great instructions for cleaning things in your kitchen – which will not only help limit the potential for nasty bacteria but will leave everything looking and smelling wonderfully fresh. 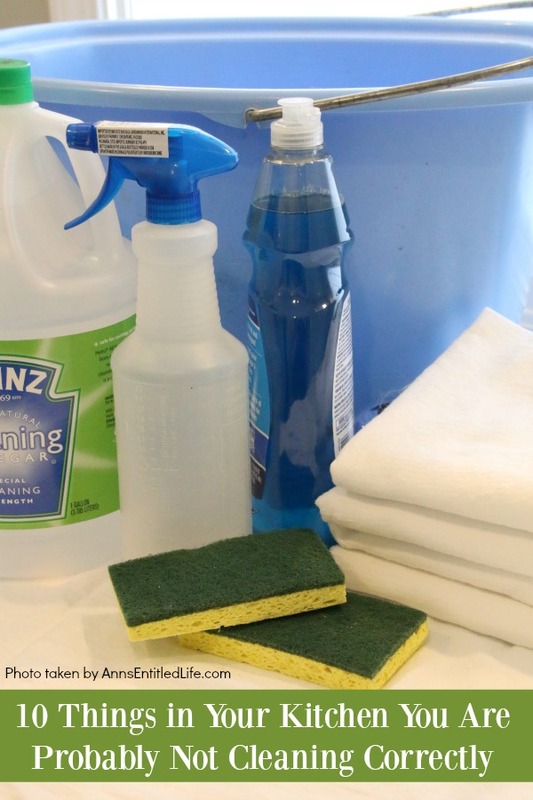 These cleaning solutions will help you deep clean your kitchen one step at a time! You may be surprised to know that up to 80% of all foodborne illnesses come from your home kitchen. Terrifying! Even when your kitchen looks as though it is sparkling clean, it may not be the safe space you think it is. My list of 10 things in your kitchen you are probably not cleaning correctly – and how to clean them properly! 1. Your kitchen sponge. Dr. Charles Gerba, a professor of microbiology at the University of Arizona, found that kitchen sponges (and dishcloths) can be as much as 200,000 dirtier than a toilet seat. Because sponges are porous and wet, they are ground zero for some of the most dangerous bacteria that make humans sick. E. coli, Staphylococcus aureus, Salmonella enteritidis, and Campylobacter jejuni are very happy living in your kitchen sponges. You can click the links to see what each of those bacteria will cause in humans, or you can take my word for it when I tell you that, simply put, it’s not pretty. 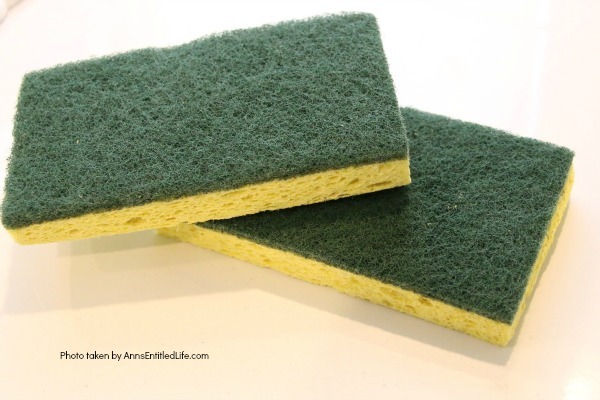 Because of the awful illnesses, dirty sponges can cause, the USDA did a study to find effective methods to clean kitchen sponges. Here are the two they recommend. After using your sponge place it in a microwave for 1 minute at full power. When you are doing your dishes, pop your sponge on the top rack for the full wash and drying cycles. Either will work and help keep your kitchen safe. 2. Kitchen sink. If you are a family of meat eaters, your sink is likely coated in invisible E. coli, salmonella, viruses and sadly, even parasites. To properly clean and sanitize your kitchen sink, start by using a damp towel with baking soda or a product that will not scratch such as Bar Keepers Friend to clean away any stains. Next, plug the sink, add warm water to fill it and approximately 1 TBSP of bleach per gallon of water. Let it sit for 5 minutes. Use vinegar to rub away any water spots. 3. Wooden cutting boards. 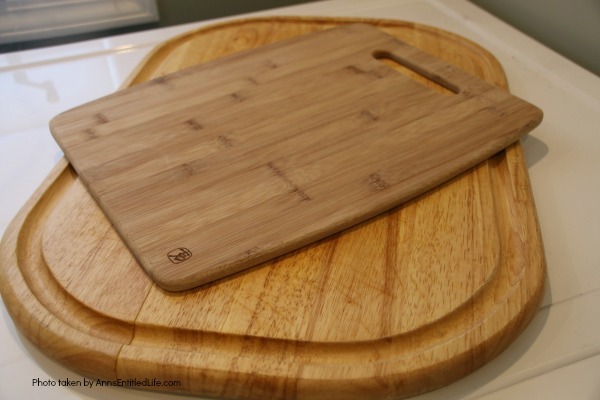 A good quality wooden cutting board will last for many years if you take care of it. First, wash the wooden cutting board with hot water and a little soap on a sponge. The important thing here is to use soap and water, especially in the spots of the cutting board that have indentations from knives. Next, combine a solution of half cleaning vinegar and half water, soak a cloth in it and thoroughly wipe your board down. Make certain you dry it off afterward or the wood will swell and warp. Repeat this process every time you use a cutting board. 4. Can openers. 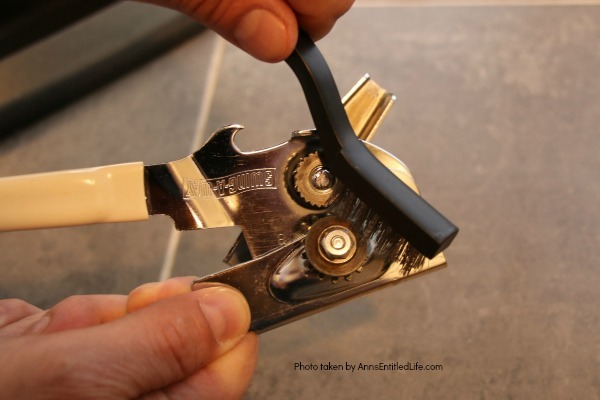 Whether you have an electric can opener or a manual one, you should be cleaning it after every use. Hubby said that health inspectors inspect them first in restaurant kitchens as they are most likely to be gunked up and gross. Again, cleaning vinegar to the rescue! Wipe the can opener thoroughly with cleaning vinegar and then take a clean toothbrush or small wire brush to scrub it a bit – do not forget the wheel as that is where the gunk collects. If the can opener is electric pop off the arm that holds the can and soak it until it is clean. If you have a manual can opener you can slowly run a paper towel next to the wheel as you turn the wheel. If your can opener has gunk on the wheel, it will come off on the paper towel. After that proceed to clean with cleaning vinegar and then take a clean toothbrush or small wire brush. 5 The glass of an oven door. Warm up the oven just a bit. 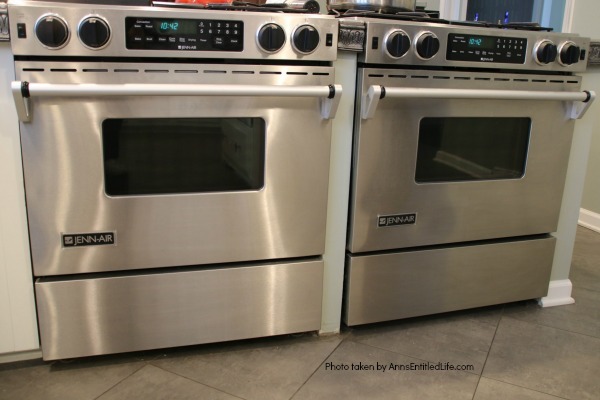 While you do not want the oven to be 450 degrees it will be easier to clean if the door is a bit warm (try 200 degrees). Turn off the oven before cleaning the glass door. Using a damp cloth, wipe the glass and sprinkle it with Bar Keepers Friend. Let it sit for 10 minutes. Get your cloth damp again and begin working in circular motions to clean it. You will repeat wetting your cloth as needed until you have finished removing all the Bar Keepers Friend and dirt and grime. Using a dampened clean cloth you can wipe away all the residue. If you have a glass stovetop (we did in Florida, electric only, no gas) and there is a stubborn stain on your glass stove top, start by rubbing the spot in a circular motion with a silicone spatula. That will help loosen the grime and lighten the stain. Cover the stovetop with a paste of 1 TBSP distilled vinegar and 4 TBSP of baking soda. Let it sit for a few minutes. 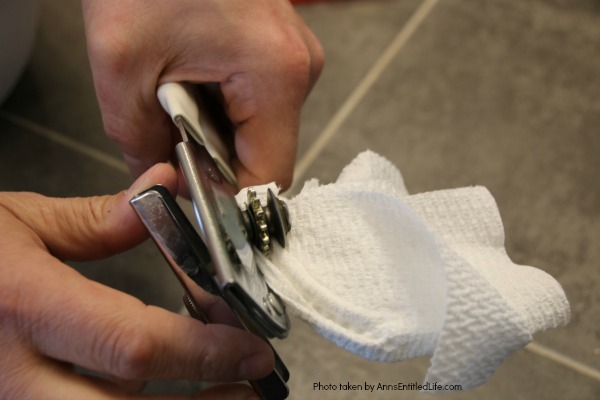 Rub it with a soft cloth, and then use a clean, wet cloth to remove the residue. 6. The inside of a toaster. Unplug the toaster (always unplug all electrical appliances before cleaning! ), pull out and empty the bottom crumb tray. Use a clean “scrubbie” with a little Dawn, and start scrubbing. Rinse away the soap and let it completely dry. 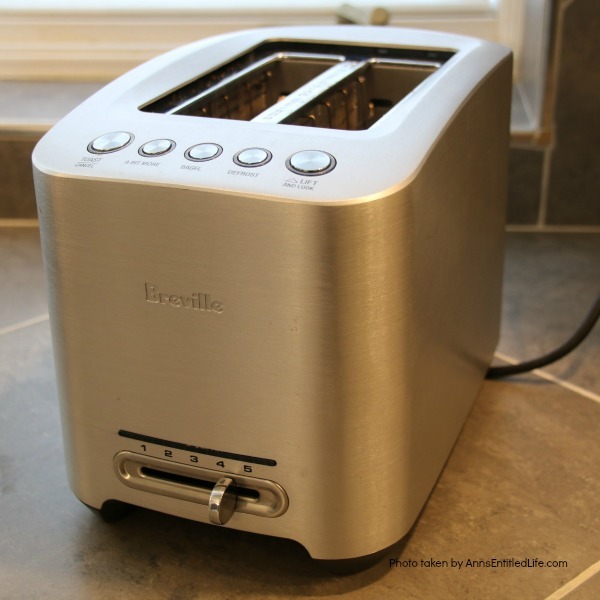 Use a clean toothbrush to gently get rid of the crumbs and little pieces of burnt bread on the heating elements inside the toaster. Turn the whole thing upside down over your trash can and shake it if your toaster does not have a removable crumb tray or pop-open bottom. 7. Granite countertops. If you are wiping them down with soap and water, that is great. However, they also need to be disinfected. Keep a spray bottle that is filled with equal parts isopropyl alcohol and water at the ready. Spray the countertops, let the solution sit for 5 minutes, and then wipe them down with a microfiber cloth. 8. Stainless steel appliances. They are so, so pretty when they are shining, but between fingerprints and streaking, they can be a bit of a problem to keep clean. 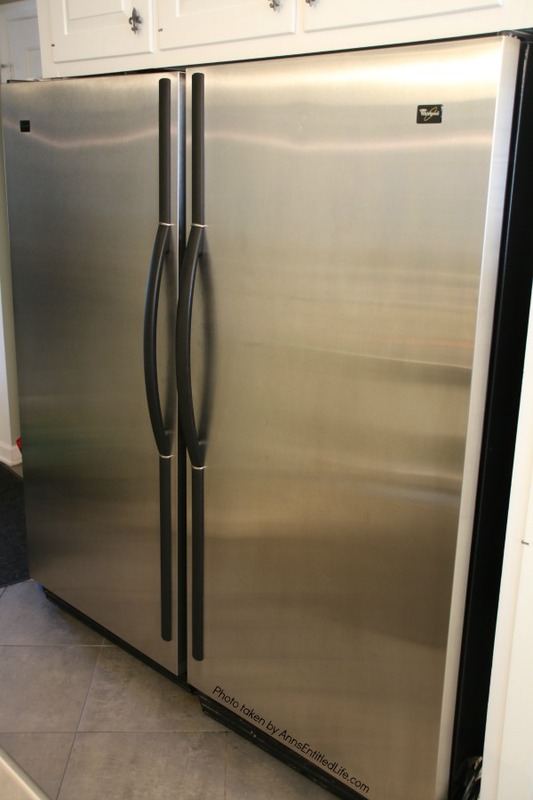 Depending on the age of your stainless steel appliances, a Dawn dish soap and water solution may be all you need. My newest stainless steel appliances are only to be cleaned with a mixture of Dawn and water as per manufacturer instructions. 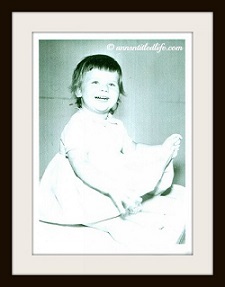 I wipe the solution off with a cloth diaper (cloth diapers make the BEST cleaning rags! ), rinse with clear water, and buff. Done! Now on old stainless steel appliances… that is a bit trickier. In my household we use Stainless Steel Magic. It is the only thing I have found that does not leave streaks provided a “wax-on, wax-off” motion is used. My fridge and my freezer are older units (15 years old) so build up does occur every 12-18 months. At that point I strip it with full strength cleaning vinegar and start the Stainless Steel Magic again. 9. Dishwasher. 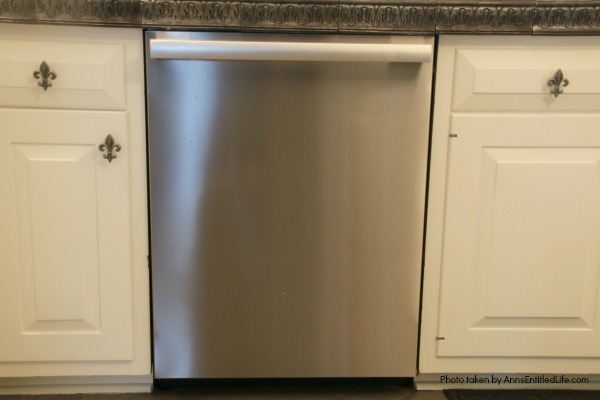 Dishwashers are the best thing to happen to kitchens since the electric stove! They work hard for us and deserve their own cleaning a couple times a month to keep them in optimal working order. Fill the dishwasher dispenser with a packet of sugar-free lemon Kool-Aid or some citric acid. Run a full cycle. 10. Refrigerator. Take everything out including all the removable parts of your fridge. Wash them in hot, soapy water and leave them to dry while you are cleaning the rest of the fridge. Using a spray bottle filled with half cleaning vinegar and half water, generously spray the inside and wipe down with paper towels. If there are sticky or stubborn places, dip a half lemon in some baking soda, scrub and wipe away the residue. It will be sparkling clean and smell super fresh. Those are my 10 tips for cleaning your kitchen. 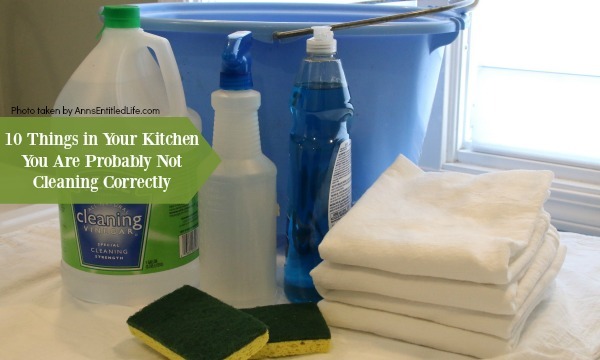 Did I miss some great kitchen cleaning tips you wouldn’t mind sharing? I would love it if you’d comment and tell me what they are. Note: None of this is meant as medical advice. I am not a doctor and do not play one on the internet. Please consult a physician if you have any questions about using cleaning products and disinfectants so your doctor can better explain to you the benefits, possible side effects, and any warnings about cleaning products and disinfectants. A list of indispensable, useful tools and products every crafter needs to have in their craft box. Whether you are just beginning to make your own crafts, are a special occasion crafter, or a crafting veteran, this list of must-haves crafting products are important to getting the crafting-job done! I love DIY projects. But before you get started, you need to be certain you have all of the right tools on hand to get your projects done right. Note: lot on this list will make a great gift for the crafter in your life! 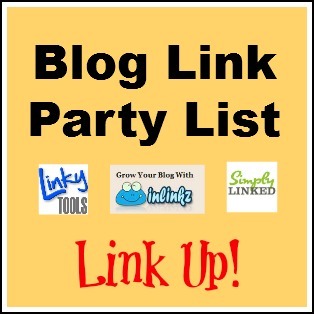 Below is a list of my must-have crafter’s tools. 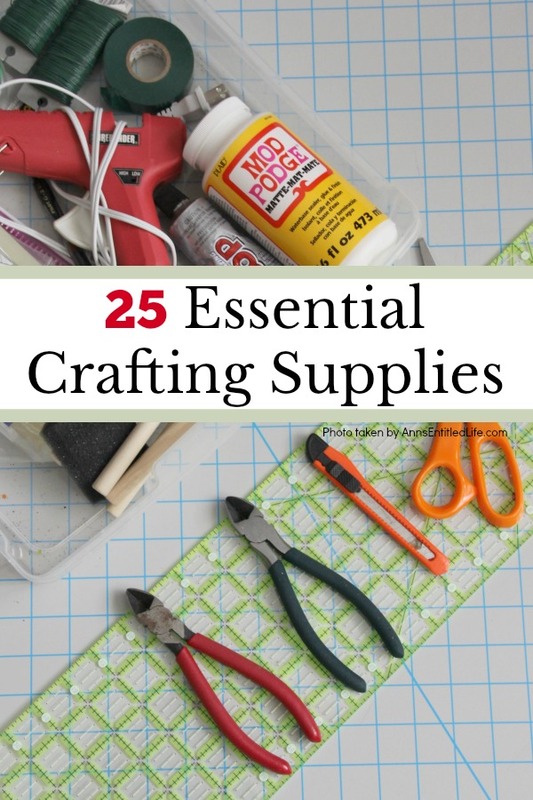 Let’s get crafting with the help of these essential craft supplies. Exacto Knife: This easy to hold exacto knife is a must-have for every crafter. Self Healing Cutting Mat: This mat is the perfect place to cut a variety of materials. The healing feature helps keep the mat smooth, which gives it a longer life. Hot Glue Gun: Glue a variety of materials with a solution that is permanent. This glue gun comes complete with the hot glue. Wire Cutters: Stop struggling with scissors and other methods to cut wire by adding this pair of wire cutters to your crafting tools. Straight Edge: Another essential crafting supply every crafter should keep on hand. Paper Cutter: Get the perfect cut while working with paper. This one has a ruler that runs along both sides to help align everything just right. Tape Measure: Make sure to always measure twice and cut once! Pliers Set: This set comes with 6 different types of pliers including needle nose, long nose, flat nose, and more. Floral Wire 22 Guage: Bunch together flowers and other mediums with the help of floral wire. 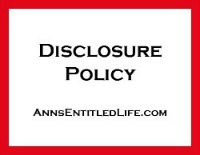 This works really well because it can be tucked away and kept out of sight. Floral tape also helps! Goop: My all-around favorite adhesive outside of a glue gun. This stuff is waterproof and temperature resistant. Mod Podge: Seal projects with the help of Mod Podge. Paint Brush Set: Having a decent set of paint brushes on hand can make or break a project. This set comes with a variety of sizes. Craft Paint Kit: The colors in this set are amazing! Plus, these paints can be used on a variety of surfaces. Construction Paper Set: Keeping a set of construction paper on hand guarantees that you won’t find yourself running out at the last minute to pick up a certain color. Crafting Tweezers: Easy to grip tweezers allow crafters to place small items exactly where they need to go. Wood and Leather Pyrography Pen: Wood and leather burning create an amazing effect on crafts. This set has everything you need, including a case to keep it all in place. Washi Tape Set: Decorative tape in different patterns and colors. Rotary Cutter: Get a precise cut on fabric, vinyl, and other mediums with this rotary cutter. Gold Leaf Sheet Pack: Add a little bling to your crafting projects with the help of some gold leaf! Glitter Set: Another way to add some sparkle and shine to your craft projects. Now to get to the good part… crafting! For some inspiration, take a look at a few of these craft projects I know you would love. 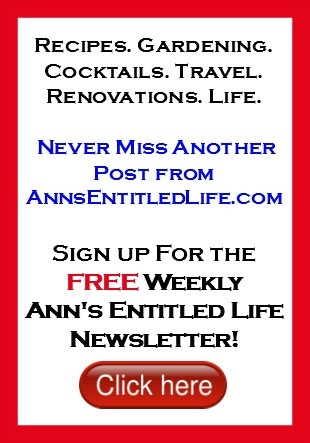 For even more crafting inspiration and project ideas, visit the Craft Section of my website. If you are on the hunt for crafting gifts, any of these items are a great place to start. Instead of packaging them inside of a gift box, use a Tool Box instead. 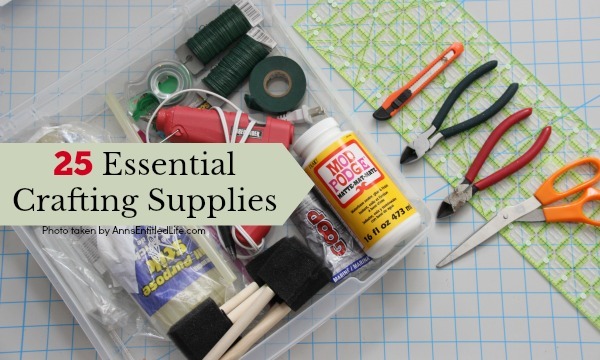 What essential craft tools do you keep on hand?